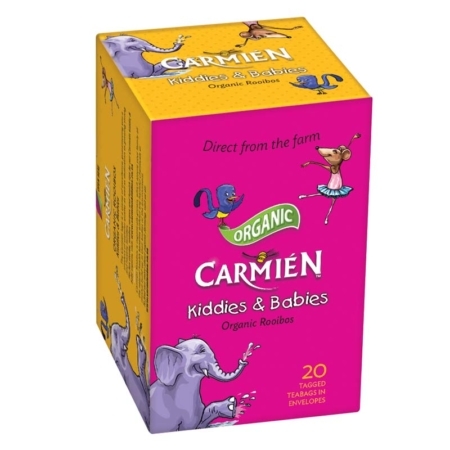 Carmién Blissfull Blackcurrant is a revitalising blend of rooibos and blackcurrant. 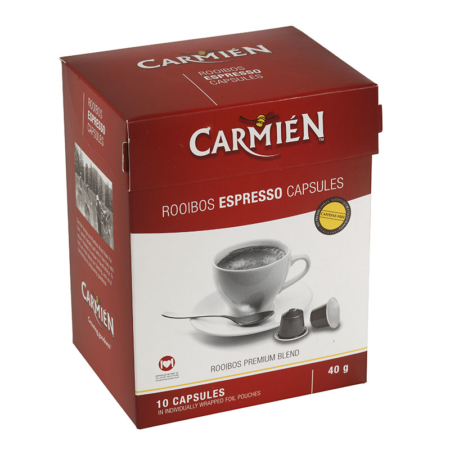 The delicate flavor and fresh berry taste of blackcurrant adds to the natural sweet taste of Carmién rooibos. Berry lovers will enjoy the fresh and sharply cleansing aftertaste. 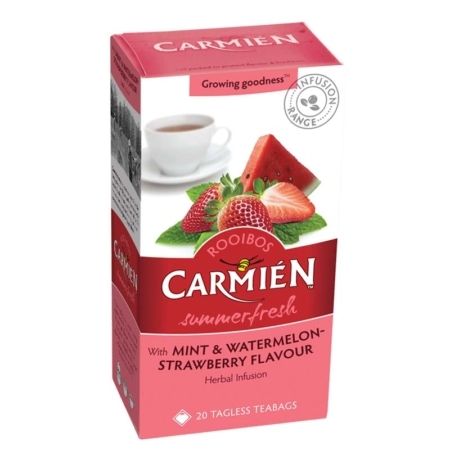 Carmién flavored teas gives you the option of enjoying the natural goodness of rooibos in a variety of delicious flavours. Rooibos is naturally high in antioxidants, anti-inflammatory, anti-spasmodic and soothing on the nervous system. Place one teabag in a cup with boiling water. Steep for 3 minutes or more if a stronger flavour is preferred. For fully benefitting from rooibos health properties, preferably no milk, sugar or honey should be added. Best to enjoy at 65°C.